Today I was informed that Christmas is set to fall next Sunday. Anybody with rudimentary maths skills should have been able to figure out the big day was less than two weeks away but, somehow, I have to admit that December 25th has snuck up on me this year. Perhaps I've been too caught up in the fall-out of the global political shift to the right, and the oncoming chaos that will ensue from this, to adequately note the passage of time. Perhaps I've been unable to accept we're truly in the "season of goodwill to all men" when news from across the world suggests we're living in a unique time of anger and hatred? Alas, as I prepare myself for the outright collapse of the cosy Western neo-liberal consensus and the prolonged peace which has come from such a system, I take comfort in the knowledge that I've already seen our future. I've seen the way in which the world becomes arid and devoid of life, or reason for living; I've already witnessed the dystopian society we are sure to descend into as the unique mix of climate change, hate-infused populist nationalism and self-defeatism begin to shape the planet we live on. I know what this looks like because I've seen the Mad Max series. (Incidentally, and relating back to the season of giving - I can't think of any man who wouldn't appreciate this for Christmas. The whole four movie anthology is available, alongside a series of other TV & movie box-sets, as part of HMV's curated Gifts For Him collection). Created by George Miller in the late 1970s, the director unleashed three land-marks of Australian cinema in quick succession in the form of Mad Max, Mad Max 2 and Mad Max: Beyond Thunderdome. Each movie featured the astonishing alchemy of wildly inventive visuals and stunningly choreographed action sequences, outlandishly bizarre narratives of biker gangs and marauders, and, not least of all, the maniacal screen presence of Mel Gibson. Whilst the actor now is most widely considered a swaggering drunkard and possible antisemite due to his very public and intoxicated clash with the police in 2006, looking back on the series that made his name in the first place is remarkable - this is an actor of rare charisma and physicality. His ability to do the unexpected, whilst staying true to the character, is one of the reasons Gibson is so captivating in the initial Mad Max trilogy - for my money his portrayal of Max Rockatansky, the wild-eyed eccentric maverick hero of the movies, is matched only by Bruce Willis' John McClane in terms of iconography throughout the history of action cinema. The plots for the first three films each feature Max attempting to survive barren and dangerous landscapes (filmed in the Australian outbacks) whilst dueling with the feral remains of society - the morally barren and violently dangerous inhabitants of a dying world. The electric, visual chase sequences and perpetually influential fight scenes provide the kinetic energy which propels the movies forward. It's with no degree of hyperbole that I must state cinema had never seen anything quite like the universe found in Mad Max before Miller committed his saga to celluloid. It is to his eternal credit that, in the years that have followed, many directors have tried to ape the wild visuals and guttural action set-pieces found in these anarchic-rococo movies. With the likes of The Hunger Games and Divergent franchises breathing new life into post-apocalyptic cinema, Miller decided to return to the series which made him famous in 2015 (having, in the interim, turned his hand towards family entertainment with the Happy Feet series and the surprisingly bold and dark Babe: Pig In The City). Whilst it is with understatement that I write that Tom Hardy's iteration of Max Rockatansky lacked any and all of the vitality which made Gibson's turn so great in the first three films, Miller was clearly still brimming over with ideas and methods for pushing cinema forward despite being in his eighth decade when the movie was released. Mad Max: Fury Road (rightfully) found itself lauded with numerous awards for its art direction and, in particular, its stunt-work. That the feature was boycotted by a number of men's rights activists for featuring a plot focused on feminist emancipation marks it out even further as a film worth celebrating. 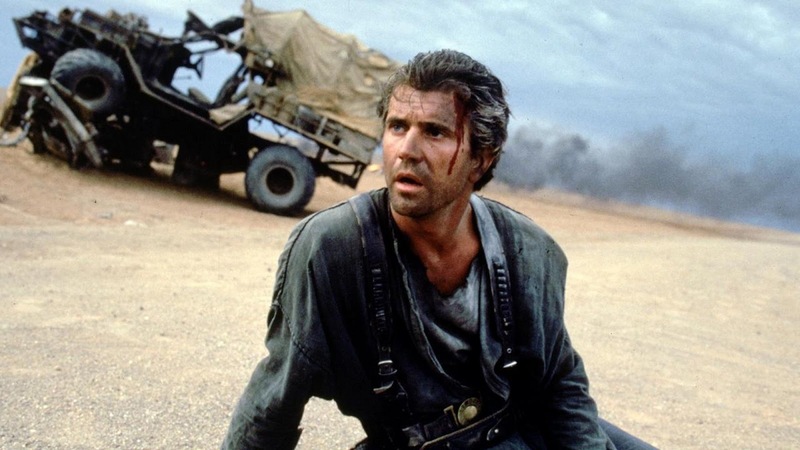 As a totality, and despite my grave misgivings towards Hardy taking the titular performance from Gibson, the Mad Max Anthology is one of the true essentials I'd recommend for all men in their DVD/Blu-Ray collections (alongside Rocky and the aforementioned Die Hard). Across the four movies there's quite literally everything you could possible ask for - beguiling action, understated humour, Tina Turner soundtrack appearances, pulsating scores, ludicrously grandiloquent costume design and even feminist subtexts. Mad Max presents a post-apocalyptic world which I'm sure we'll see mirrored around us quite soon - though, if real life is half as entertaining as these classics, perhaps all won't be so bad after all.